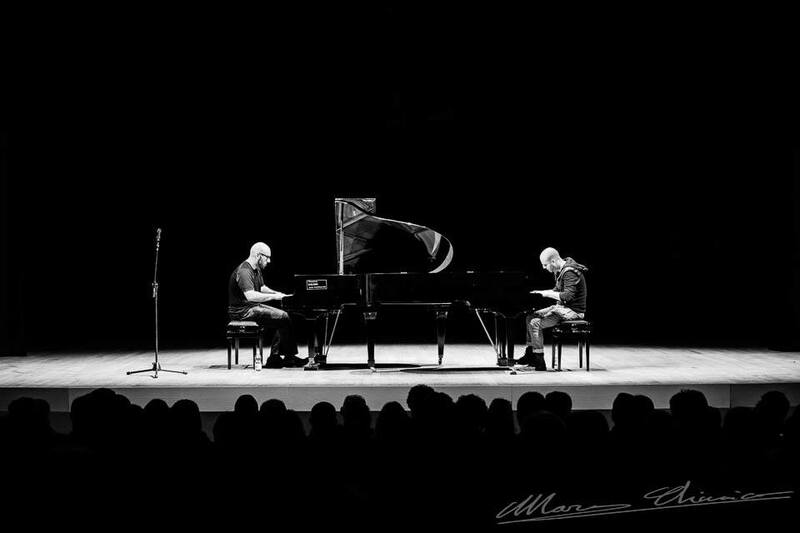 The Genesis Piano Project came to fruition when Buffalo-born pianist Angelo Di Loreto and Chicago-born pianist Adam Kromelow met as classmates at the Manhattan School of Music. When Adam introduced Angelo to the music of the British progressive-rock band Genesis, they came up with the idea to re-arrange their groundbreaking compositions to be performed on two pianos. The vast compositions of Genesis have diverse song structures that switch effortlessly from haunting, whispered melodies to intense rock-outs. Hearing the arrangements of the Genesis Piano Project can at times sound like classical piano music, but at others can make audiences feel as if they are listening to a live rock band. This project has captivated audiences, both Genesis fans and newcomers alike, performing at some of the best Steinway Piano showrooms and galleries in the United States. This group has also attained international recognition due to the 100,000 plus hits they have received on YouTube. Further, they were recently featured in in-depth interviews with Lumino Magazine, the Chicago Sun Times, and the Buffalo News. Most recently, early 2014 saw the duo embark on a US tour with concerts throughout the Northeast and culminating in their Canadian debut in the beautiful Maison de la Musique in Sorel-Tracy, Quebec. In mid-2014, Giovanni Amighetti, a producer for Peter Gabriel’s record label Real World Records, discovered the Genesis Piano Project online and offered to bring them to Europe for their first overseas tour. Since then, the duo has performed at such venues as Crossroads Live Cub in Rome, the historic Castello Ursino in Sicily, and the Cultural Centre of Belem in Lisbon. The duo has developed a cult following in Europe and received much acclaim from the press. In 2015 the Genesis Piano Project released their first live EP entitled Live in Italy.